His research interests include trauma during pregnancy, patient safety and clinical delivery of quality care, infections in ob gyn and breast disease. Dr. Pearlman continues to be a world leader in ways to improve automobile safety during pregnancy. Mark Pearlman, M.D. is currently the S. Jan Behrman Professor in Reproductive Medicine in the Department of Obstetrics/Gynecology and Professor of Surgery at the University of Michigan Hospital and Health Systems (UMHS). He serves as Vice Chair and Service Chief for the Department of Ob/Gyn, and is also Associate Chief of Staff for the University of Michigan Hospitals and Health System. Dr. Pearlman has served as Medical Director of Pharmacy and Chairs the UMHS P&T Committee for the past 15 years. He has extensive experience in both quality improvement and patient safety and served as the National Directory of Quality Improvement and Patient Safety at the American College of Obstetricians & Gynecologists (ACOG). He currently serves on the Editorial Board of Obstetrics & Gynecology, and chairs the Gynecology Document Review Committee for ACOG. Dr. Pearlman is an active clinician, surgeon and teacher with clinical expertise in the gynecologic management of women with breast cancer and BRCA gene mutations and advanced endoscopic surgery. He is Founder and Director of the only Breast Health Fellowship in Obstetrics and Gynecology in the United States. His research focuses on breast cancer risk assessment and management, early diagnosis of cancer in women with BRCA mutations, as well as patient safety and clinical delivery of efficient and quality medical care. Dr. Pearlman is widely recognized as one of the world leaders in ways to improve automobile safety during pregnancy. 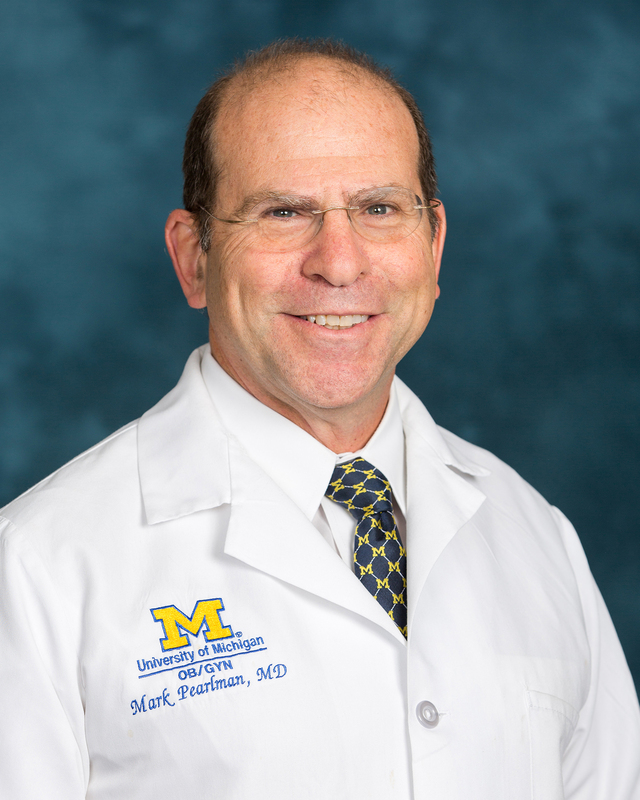 Dr. Mark Pearlman received his medical degree from Michigan State University and served his residency in Obstetrics and Gynecology at William Beaumont Hospital in Royal Oak, Michigan followed by a fellowship in Infectious Diseases at Baylor College of Medicine.